Migraine Monologues: Botox Campaign For Chronic Migraineurs - Guest Blog Post! Botox Campaign For Chronic Migraineurs - Guest Blog Post! Hello lovely peoples, today I shall be handing over to the fearless and feisty Maggie Austin. 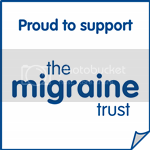 You may recognise Maggie from past posts such as 'WHAT DOES A MIGRAINE LOOK LIKE' - but today she's writing about Botox for Chronic Migraine patients and a campaign she's recently launched that needs all of our support! I’m Maggie, I’m 24 and I go to Derby University. I’m studying psychology and I think I want to specialise in something to do with pain management and neurology. Wasn’t my original plan but I think my Chronic Migraines have changed my perception of what I want to do. And her kitten Ella Freud! Botox – Commonly known as being used to look younger, plumper and kind of funny looking if you use too much. I’m guessing at least some of you migrainures out there will know of its other use however. 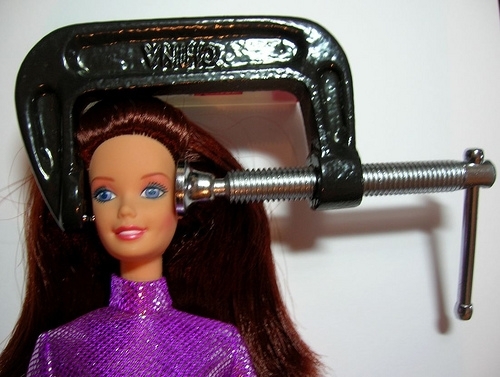 Botox is now an officially approved treatment for Chronic Migraines on the NHS. Of course this is subject to some very strict and also a bit ridiculous guidelines. Namely being, 15 headaches a month, 8 of which are migraines; this part is not ridiculous. It gets a bit stupid once you’ve actually started having the treatment, after 2 treatments 3 months apart you have to have improved by a third, but still meet those original criteria or you are no longer deemed as chronic and can, therefore, no longer qualify for the treatment. I have all this yet to come. I have been suffering with different variations of migraine for the last 7 years. In the last 2 years I have not gone a day without some form of headache/migraine. I have tried every treatment my doctor and a local neurologist could think of. So I went to the, quite frankly, AMAZI NG National Migraine Centre – a wonderful charity that offers specialist help to all of us sufferers while merely asking for a donation. I spoke with one of the specialists there and explained the fact that everyone was out of ideas, and how difficult regular life had become, especially the fact that every time I saw someone who wasn’t my regular doctor I got accused of Medication Overuse Headaches (MOH). He was incredibly understanding and after some discussion he informed me that I don’t suffer from MOH and I am, in fact, just a Chronic Migraine sufferer. He suggested Botox, telling me that he believed in treating a problem at its source whenever possible. One of the most reassuring things about the whole conversation was him telling me that my problem is, in fact, fixable… not a word I ever expected to hear about my migraines. Downside – it turns out it is actually easier to have surgery than to get Botox on the NHS. Not only are very few NHS doctors trained in how to do it for migraines (I’m opting to have mine at the National Migraine Centre), but you also first have to get your Primary Care Trust to actually approve the funding for it! NICE guidelines state that they have 18 weeks, but apparently they like to drag their heels, so the only way to get it in that period is to kick up a fuss. I personally am quite inclined to do that; they will have a very difficult time ignoring me. My concern is for those who aren’t quite as feisty as me, but still need this treatment. Hence why I am trying to stir up a bit of trouble to see if we can get people to hear that. I have already been in touch with my local MP – whom I have yet to hear back from, but I’m not surprised. I let them off over Christmas but now they'll have to put up with me all over again! The NHS seems to have a rather dismissive attitude towards us and we really need to change that (I sound like I’m rallying a protest or something! Anyone got any picket signs?!). To book an appointment at The National Migraine Centre simply call: 020 7251 3322. A migraine specialist will work with you to tailor a treatment plan to meet your needs. A GP referral is not needed and payment is via donation as the Centre is a charity, most major Private Insurance Policies are accepted if seeing The Medical Director. Sadly, this is the sorry tale of thousands of patients needing any treatment in the U.K with all the cutbacks and g.p's referring as few patients for treatment as possible. My friend is a young mother of 2 small boys who is dying of cancer and is having to fight for drugs that will prolong her life and give her family some more precious time with their mummy. When the government are prepared to be so ruthless as to cutback on treatment like this, it is so easy to understand why we have such a struggle to get effective treatment for migraines! Hello Anonymous, this is an awful story! I wish your friend well. The NMC are a great support and we're lucky to have them, sadly tho 3 of my friends who there have been refused the medication by their g.p's that the NMC wrote recommending that they needed. So, even if you get to the clinic youre still dependant on the g.p funding to get the medications!! a nightmare!!!! Maggie, thank you so much for sharing your story. I'm currently getting GON injections which take the edge of the pain but nothing stops the attacks and am now reviewing my options, one of which is Botox. I qualify, but the criteria after qualification seems a little too rigid. Surely anything which gives you some relief is a good thing? Yeah, I don't understand why it's so difficult seeing as it has actually now been approved. I can sympathise with your story Maggie - I also suffer with chronic migraines, with a headache/migraine all the time! I am seen at Migraine Clinic of the National Hospital of Neurology and Neurosurgery, who have been great. With every different treatment we try things are getting better for me. My consultant now wants to try me on the Botox injections. The clinic for this was only started in November, with space for less than 100 patients. As a result I have been put on the waiting list where I will be seen anywhere between May and August, depending on how many patients deemed unsuitable to continue (because of the 30% improvement you mentioned). I am very excited to try this and am aware of how lucky I am to have been given this opportunity. You can count on my signature to raise awareness of the need for Botox to be available to chronic migraine sufferers on the NHS. Thank you Tania and good luck with your treatment, I hope you get it soon. I'll see if Victoria will let me run up update once I've finally had it. Spoke with the PCT today and it seems like things are moving well, a few loose ends to tie up and I should be able to go get sorted. Thank you all for your support and signatures! Thank you for the information! I live in the US and it seems just as hard to get Botox treatments here. I've had chronic migraines for 5 years and I feel like this is my last hope. Insurance won't cover the treatments ($1400 each), but it will be worth the cost if I can actually function enough to go to work. Glad to see that people are working hard to help get access to this treatment. Hi Lisa, so sorry to hear that you're insurance wont cover the treatments, I know some have to battle hard to get that first round in the US through certain insurance groups. Have you been reading Ellen's journey on migraine.com - she's just started Botox.... Hope you're well today! Victoria I am currently writing a paper on migraines and Botox in college and I was wondering if I could interview you and tell me about your experience with it? 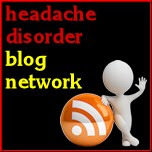 I have read above blog on Migraine Monologues its nice post i like it you provide the botox treatment in a good way. Sorry to hear you've suffered from chronic migraines. Have you had this treatment, and how has it worked out for you?